Building or renovating is a great way to get the house you want. Whether you’re building your dream house or renovating your current place, Alliance Credit can help you with a loan that best meets your needs, and help you carry out a successful project. Building a new home certainly has its benefits. You could customise the home exactly to your needs, to your specific wants and your personal preferences. You can build your home and make it personal to you, but best of all, no one has ever lived there before, so every family memory created is a new one. There are many different scenarios when building a home. You might be purchasing a new block of land, or you might already own some land, or a house that you want to demolish and build a new home. Alliance Credit will guide you step by step through the process, get you a pre-approval, arrange valuations, liaise with the bank and help you all the way to the finish line. 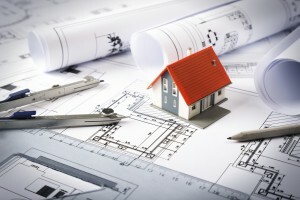 Many things could do wrong in the home building process like losing your deposit or paying much more than anticipated. That’s why it’s important to talk to an Alliance Credit professional to avoid those risks and make the process smooth and simple. Renovating can make your old place feel like a brand new home and increase the value of your property. Whether you’re planning a new bathroom, landscaping your garden, or simply replacing a kitchen, at Alliance Credit you have a choice of flexible and convenient options to match your budget. Use the equity in your home to improve your home! Depending on the amount of equity in your home, by refinancing to a lower rate home loan, your monthly commitments may not even need to increase.